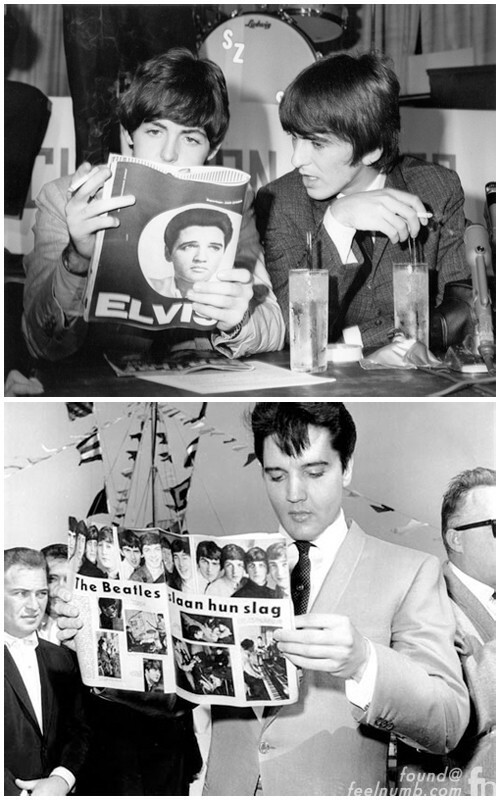 The Beatles were huge fans of Elvis Presley and once that had become famous they boys wanted to meet their idol. They met at Elvis Presley’s home at 525 Perugia Way in Los Angeles (Bel Air). 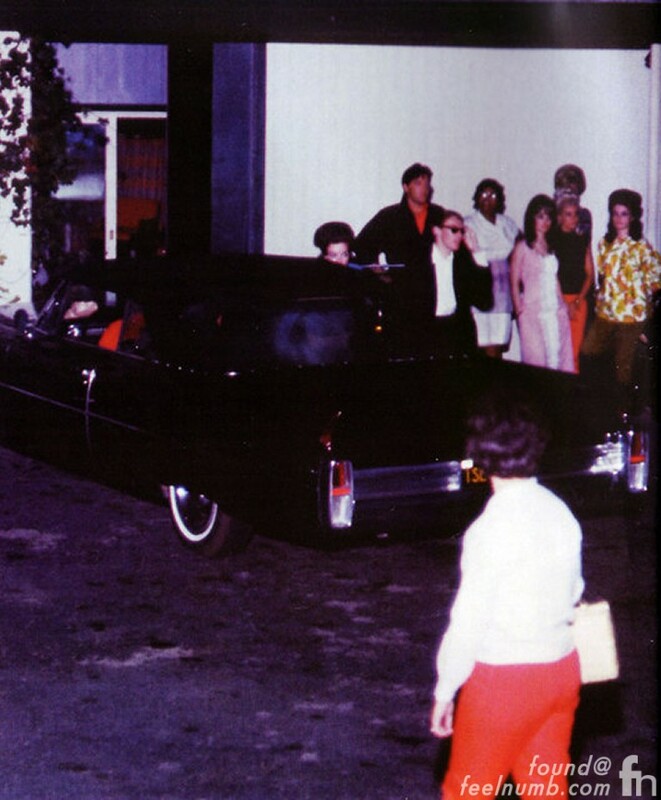 Here are a few photos of Elvis standing in the driveway of the home on a different occasion. 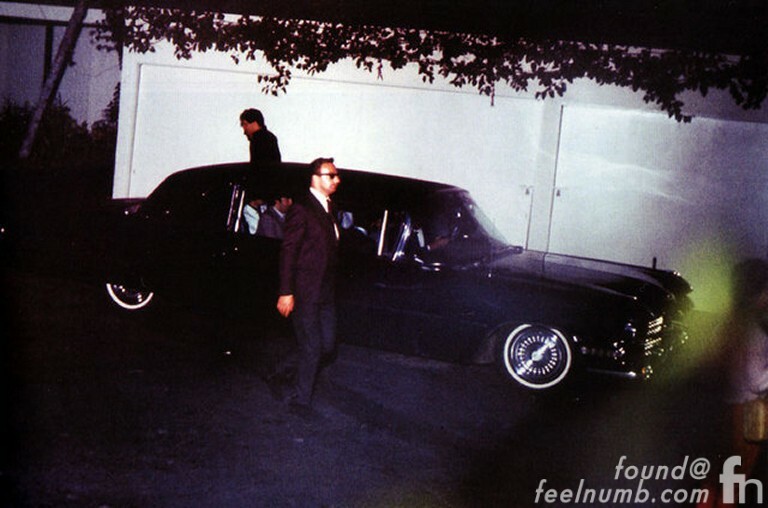 No professional photos were taken at the meeting but a few Elvis fans waiting outside of the house captured the only known photos of The Beatles arriving and leaving the home. 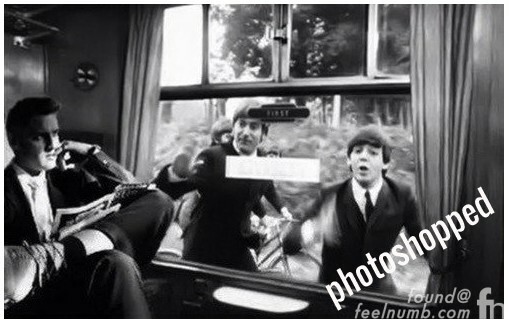 Here’s a one of a kind photo showing John Lennon, George Harrison and Elvis.